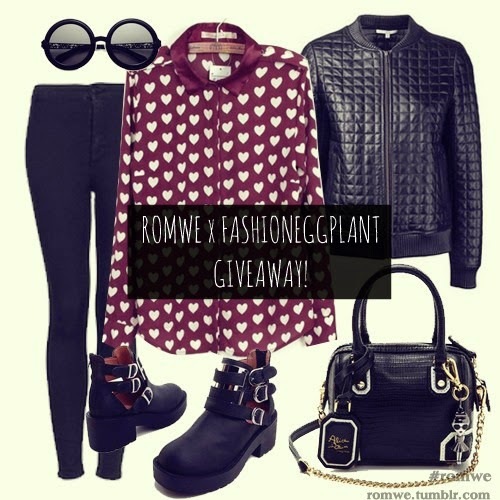 As promised earlier, here's another international giveaway brought to you by my favorite store, ROMWE! This time, 1 Fashion Eggplant reader gets to win this awesome heart pattern shirt! Though simple, it has the right amount of quirk to make any outfit pop.It's also extremely versatile which is why it's such a hit among many international fashion bloggers. Wear it to work, on a date, shopping. This pretty red shirt will take you anywhere in style. I love to win this! Thanks for the giveaway! xoxo!